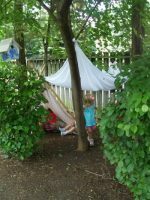 Located at 212 W. Lake Street in Elmhurst, IL is the 2nd certified Nature Explore Classroom in Illinois and the 45th in the nation. Elmhurst Academy is a private, Reggio Emilia Inspired Early Childhood School, educating from birth through kindergarten. Their philosophy states that the years from birth to 10 are a crucial age span in a young persons life, when a firm foundation is laid for a healthy development and lifelong learning. 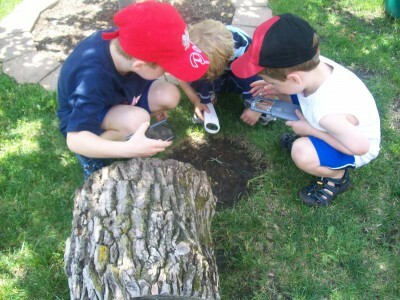 With the goal to cultivate a child’s own natural desire to learn, the Nature Explore program is a great fit. 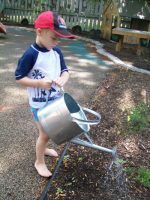 Two Discovery Play Gardens were developed and arranged by age/ability levels. 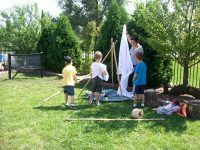 Both gardens have clearly defined areas for various activities including art, music, gross motor, exploration, quiet play, reading and gardening while being visible to teachers at all times. Contests were held to encourage students to design elements and areas in the classroom. 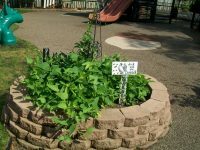 Each class has their own garden plot that they care for. Names vary each year based on content. This year’s gardens include the Prairie Garden, Old McDonald’s Garden, Pizza Garden and Character Garden. 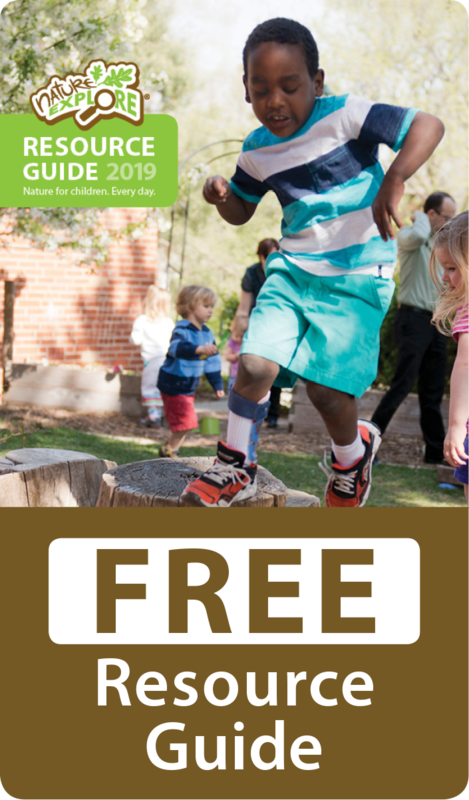 Play and exploration is encouraged with a plentiful variety of natural objects supplemented with tree cookies, natural wood blocks, seed pods and other objects. Natural components are inspected regularly for rough edges, cracks and splinters, but allowed to break down naturally for children to develop a better understanding and respect of what they see occurring. By consulting local arborists and IDNR staff, the school was able to clearly illustrate to landscapers and staff the direction of the intended outdoor space. The end results are beautifully designed, functional and durable spaces for children to connect with nature on a daily basis.